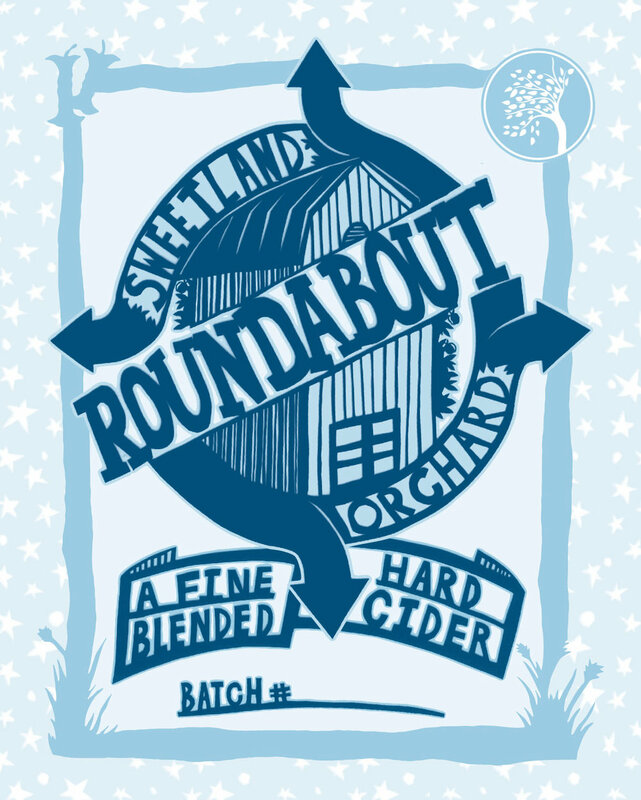 Our Roundabout series was inspired by Farnum Hill's "Dooryard" series. We had some MN Mule left after the State Fair in 2016 and remember years back when we did all of those hopping experiments? (see Roundabout #2) The citrus in the Mule called out for some fresh hops. Year one in 2016 was super hoppy and extra dank. Year two in 2017 was measured and far more balanced. We got our fresh Cascade hops from a great guy up in Monticello with a retirement-project hobby farm. Released October 2016 and annually thereafter. We love Dogwood coffee! You know what Dogwood does so well? They source their beans from farmers just like us, except in Costa Rica and other coffee-growing countries. Dogwood started bringing in cascara, or coffee cherries, in 2015 and Stephanie thought it might have some promise for cider. After a tiny trial batch in 2015, we made two versions in 2016: Farm Dog Fresh was slightly sweet, solely sweetened from the sugar in the coffee cherries. Farm Dog Dry used the same method, but then let the yeast in the cider ferment the sugar left behind from the coffee cherries. Released September 2016. During the same period of time that we were working with lime, we developed the MN Mule cider for the Ball Park Cafe at the Minnesota State Fair. Lime, lemon, and ginger make for a perfect beverage on a hot day at the Fair -- and extra good with garlic fries. Released August 2016 and annually thereafter at the State Fair. Available at the Ball Park Cafe at the Minnesota State Fair and at the orchard. All Gretchen wanted to drink this summer were drinks with lime, so she thought she'd make a big ol' batch of a lime cider with a bit of mint for interest. Released May 2016 and annually thereafter in May. Available on tap and at the orchard. Following from our rye whiskey cider, we thought we'd give apple brandy a try but Mike thought it was falling a little flat -- it just wasn't quite right. His inclination was to add the slightest bit of mulling spices. Voila! Released October 2015 and became its own label in fall 2016. This cider is matured in a rye whiskey barrel. Don’t serve this one too cold, or the temperature will drown out all the smooth nuance of the rye and the oak (aim for 50-55 degrees). Of all of the spirits aged in barrels, we think we like the combination of rye with cider the best. Released February 2015. We used the most tannic apples we grow at the orchard for this cider. It also involved our tallest apple tree, our tallest ladder and a tarp to collect as many apples as we could. It came out dry, tart, tannic, and incredibly well-balanced. We love it. Released December 2014. We’re usually open at the orchard during blossom time, and this year’s late spring made that date over Memorial Day weekend. We were standing by the newly transplanted rhubarb patch, talking about our plans for the weekend, when we realized that we had a quintessentially-Minnesotan problem: more rhubarb than we could possibly use. So we thought about a rhubarb cider. And then, remembering the cherry syrup we had in the freezer from last summer’s bumper crop, we thought cherry rhubarb. We tasted it and we loved it, and so did everyone else who visited the orchard. Released May 2014 and became its own label shortly thereafter. We went through a lot of hops and a lot of different types of hops to come up with this cider. At issue: Mike likes bitter hops and Gretchen likes citrusy hops. After about twenty rounds of testing and tasting, we came up with our solution, which was a hopped cider that was equal parts bitter and citrus. Released September 2013. The Dolgo crabapple is tiny and tart with tropical undertones. It has a few fans for fresh eating and just a few more fans for jelly making. For our first Roundabout release, we used a Scrumpy base and added fresh Dolgo crabapple juice to it. Heavenly, and fondly remembered. Released October 2012.